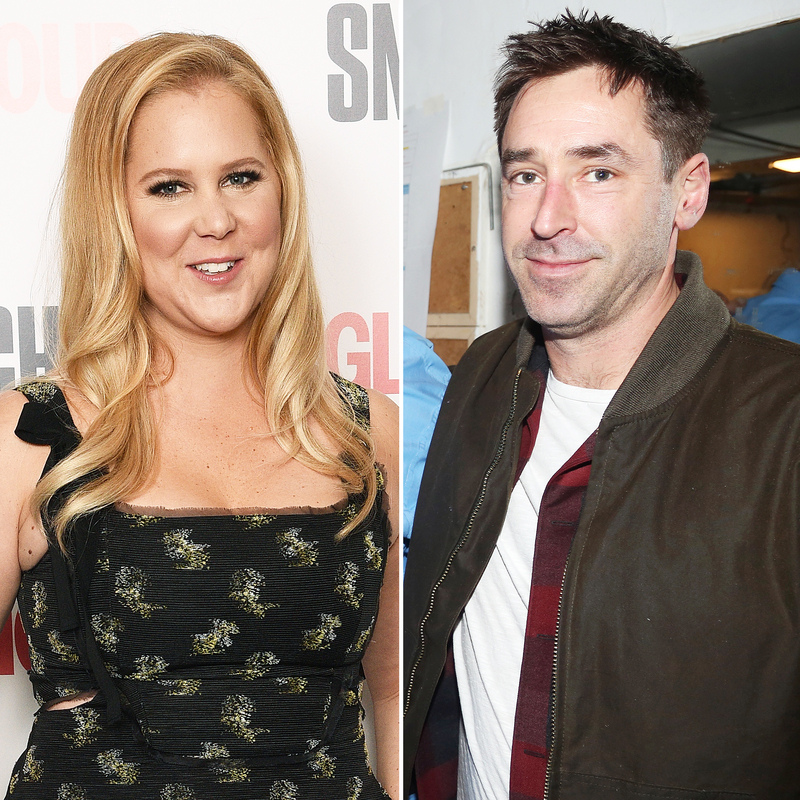 It took just a few months for Amy Schumer and Chris Fischer to go from newly dating to newlyweds. After Us Weekly exclusively revealed that the couple tied the knot in Malibu on Tuesday, February 13, take a look back at their whirlwind romance below! The Inside Amy Schumer star, 36, and the Beetlebung Farm Cookbook author, 37, were first spotted together during a candlelit dinner date at Café Altro Paradiso in New York City on November 7. She wore a red and black button-down shirt, while he donned a simple black T-shirt. Later that month, Us broke the news that the pair were officially dating. The low-key duo weren’t publicly seen together again until January 20, when they attended a taping of Saturday Night Live in NYC to support Schumer’s friend Jessica Chastain, who hosted the episode. The comedian was all smiles as she arrived in a vintage Eazy-E T-shirt, a navy cardigan and dark pants. Her beau followed close behind in a gray jacket and jeans. Schumer finally confirmed her relationship with Fischer on February 11, when she shared a photo on Instagram of them kissing in a photo booth at Ellen DeGeneres’ star-studded 60th birthday party. Then came marriage. Multiple sources told Us exclusively that the pair wed at a rented house in Malibu in front of stars including Jennifer Lawrence, Jennifer Aniston, Larry David and Judd Apatow. The ceremony was officiated by a comedian, and a strict no-photos policy was enforced.